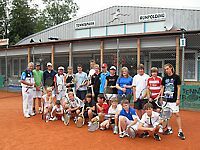 Jeder Unterrichtsteil ist nach neuesten Trainigsplänen des DTB, VDT und PTR gestaltet und umfasst: Sommertraining für Erwachsene, Jugendliche, Kinder und Tenniszwerge. Rufen Sie uns an und schnuppern Sie rein. 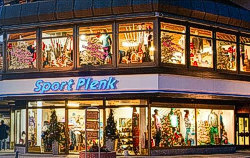 Auf über 300 qm und 2 Stockwerken können wir Ihnen eine große Auswahl an funktioneller Sportware für Running, Outdoor, Langlauf und Sportfashion anbieten. Tennis ist das ganze Jahr über angesagt. 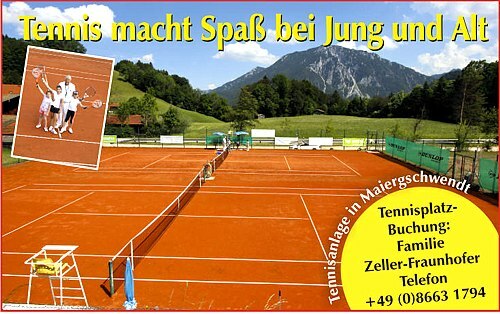 In unserem toll gelegenen Tennispark Ruhpolding lernt jeder den “weißen Sport”, egal ob Anfänger, Hobbyspieler oder schon fast Profi. Jeder Unterrichtsteil wird nach den neuesten Trainingsplänen des VDT, PTR und DTB gestaltet. Lehrer mit umfangreicher nationaler und internationaler Trainererfahrung helfen mit, die natürlichen Fähigkeiten zu entwickeln und erfolgreich umzusetzen. 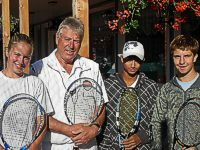 Between June 22 and June 30 the Kfar Hess Tennis Club held their annual summer tennis camp in the Tennis Park of Ruhpolding, Germany. The camp consisted of 22 Israeli youth players, aged 13 to 15, accompanied by a team of three coaches and one doctor. The group had the privilege of training in a professional and well-maintained complex that included seven high-quality clay courts, four granule-surfaced indoor courts and a supportive club house beside. The tennis park is situated in a beautiful location - beside a tranquil river with surrounding green hills and forest, and a breathtaking view that adds to the pleasant atmosphere of tennis. We received a warm welcome by the park coordinator Mr. Sigi Urmann, who made a great effort to see that all our needs are met. These included well organized court times, modern tennis equipment and stringing services, as well as important guidance throughout our visit in Ruhpolding. The young players were coached on a daily basis of morning and evening sessions. The team accommodation was in a nearby guesthouse and tasteful and nutritional meals took place in the club house. The players improved their level of tennis during the camp and gained valuable experience on clay, a surface new to most of them. In addition, the young children obtained important values and qualities of friendship, mutual respect and proper conduct on and off the court. Mr. Sigi and his fellow workers in the park gave us all a wonderful opportunity to create a productive tennis camp, together with delightful site-seeing of the beautiful area of Ruhpolding. 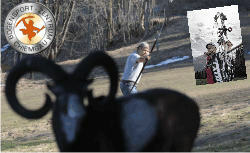 We wish to send a special thanks to Mr. Sigi Urmann. With his professionalism, commitment and dedication to every small detail of our camp he has made our experience in Rupolding a very successful one. 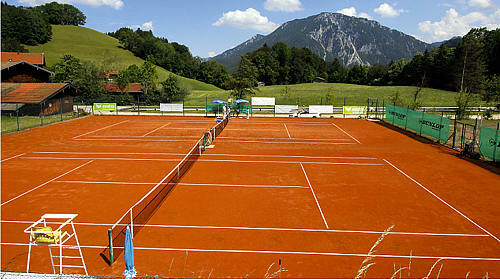 We warmly recommend to any international group to visit this fantastic tennis park and have a camp on its grounds. 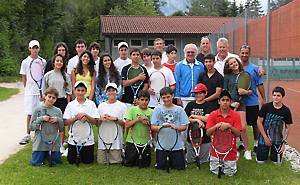 The Kfar Hess Tennis Club, its players, coaches and parents would like to honor the Ruhpolding Tennis Park for all it has done to make our first tennis camp in Germany a unique and memorable experience. Mr. Kfir Gonen and Mr. Nimrod Barak - Kfar Hess Tennis Club, Israel.